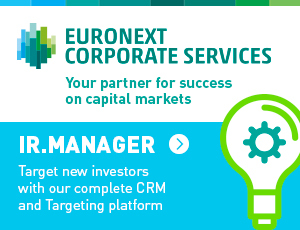 Joining Euronext’s markets provides your company with the opportunity to benefit from improved access to capital, increased global profile and access to liquidity. Because business leaders need more than others to fuel their future growth, Euronext’s markets offer a tailored made solution through its different markets and equity products to ensure that you raise money in the deepest pool of investment capital. Raising equity through the primary or secondary markets is more than just raising funds: this is a true opportunity to increase your company's external and internal profile, enhance your relationship with all the stakeholders of the company, including your clients, suppliers, and employees via share ownership schemes. This is also the reason why Euronext team and services provide you with the most efficient capital financing capacities and services to prepare and achieve successfully your listing next step.